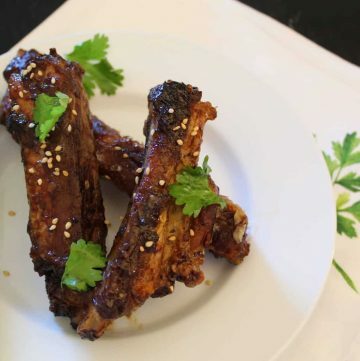 Chinese Sticky Ribs are messy, flavorful and unbelievably easy to make! Most Asian restaurants serve some sort of spare ribs–but a favorite is the Chinese Sticky Ribs! These oven-baked ribs have a huge flavor and are ready when the meat falls off the bone! 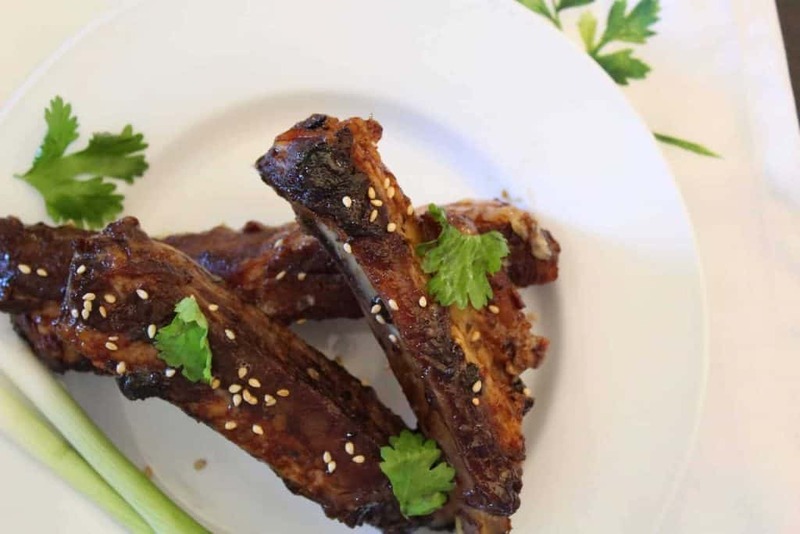 The steam-cooked method and marinade are what really set these Chinese Sticky Ribs apart from other types of ribs. The marinade has just enough salty, sweet, sour and umami flavors to accompany a side of steamed vegetables, rice or a cup of Wonton Soup. 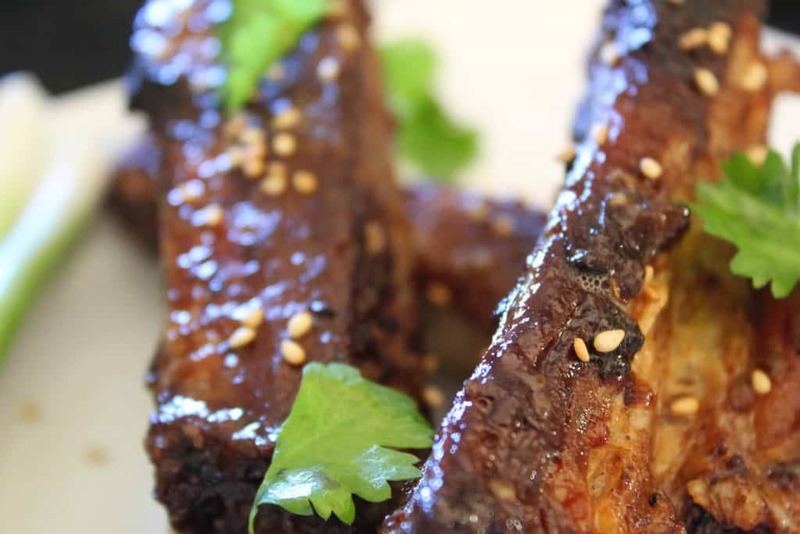 Can I Substitute Beef Ribs in this Chinese Sticky Rib Recipe? Yes. The marinade goes well with beef ribs as well. How Do I Slice Individual Ribs from a Slab of Ribs? First, place the slab of ribs on a cutting board with the meat side down. Then, using a sharp knife, slice in between each rib. If you run your fingers along the ribs, you can feel the soft meaty area …cut on that soft area. What is Chinese Five Spice Blend? Chinese five spice blend contains anise, fennel, cinnamon, cloves and szechuan pepper. You can find a jar of “Chinese Five Spice Blend” on the spice aisle at your local grocer or, if you have these ingredients, you can make it at home. Use one teaspoon of each. What is Chinese Cooking Wine? Chinese cooking wine, also known as shaoxing wine is a salted rice cooking wine that contains alcohol. It consists of water, rice, wheat and salt so it is not gluten-free. Note that Chinese cooking wine is not rice wine vinegar. 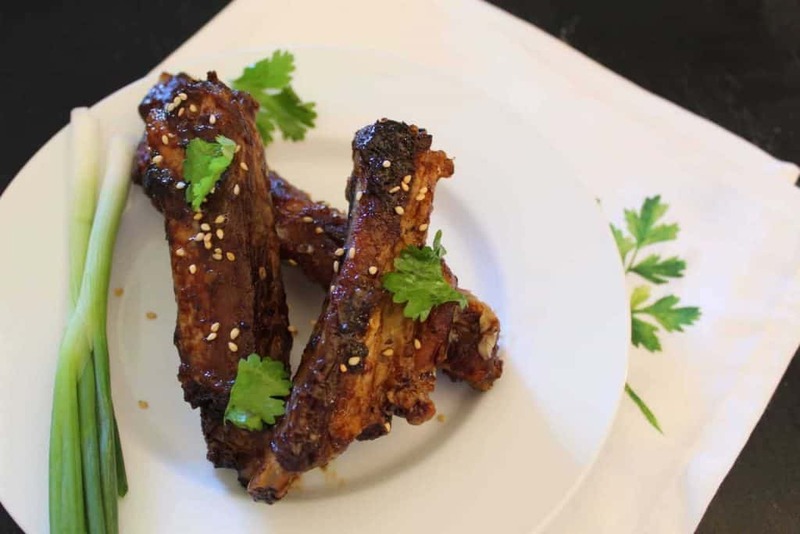 Are Chinese Sticky Ribs Gluten-Free? Soy sauce has gluten and so does the Chinese cooking wine, so the answer is no. However, you can make this recipe gluten-free by substituting Tamari sauce for the soy sauce and using dry sherry in lieu of the Chinese cooking wine. As for the hoisin and oyster sauces, check the label for wheat. This recipe used Lee Kum Kee Panda brand Oyster Sauce ( make sure it’s the Green Label) and Dynasty brand Hoisin Sauce, both Gluten-Free. 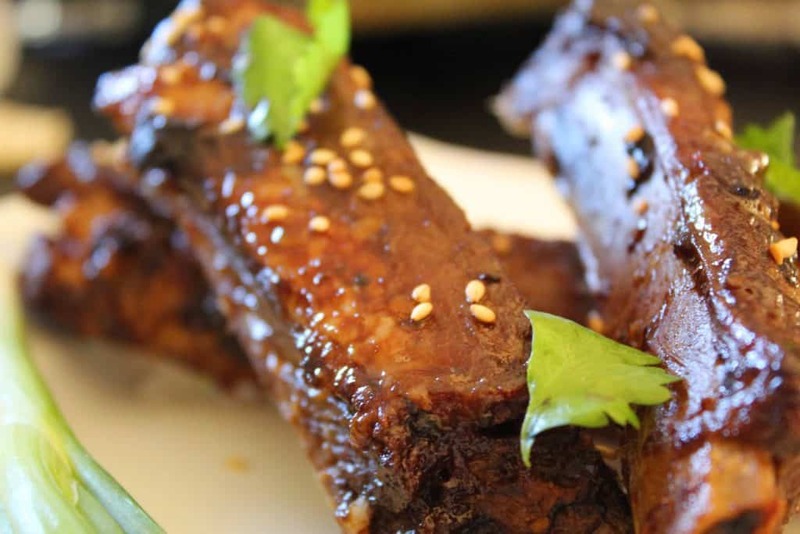 Pork spare ribs cooked in a flavorful and aromatic marinade! Perfect as an entree or appetizer! 2 tablespoons Chinese Cooking Wine (also known as shao xing) this is NOT rice wine vinegar!